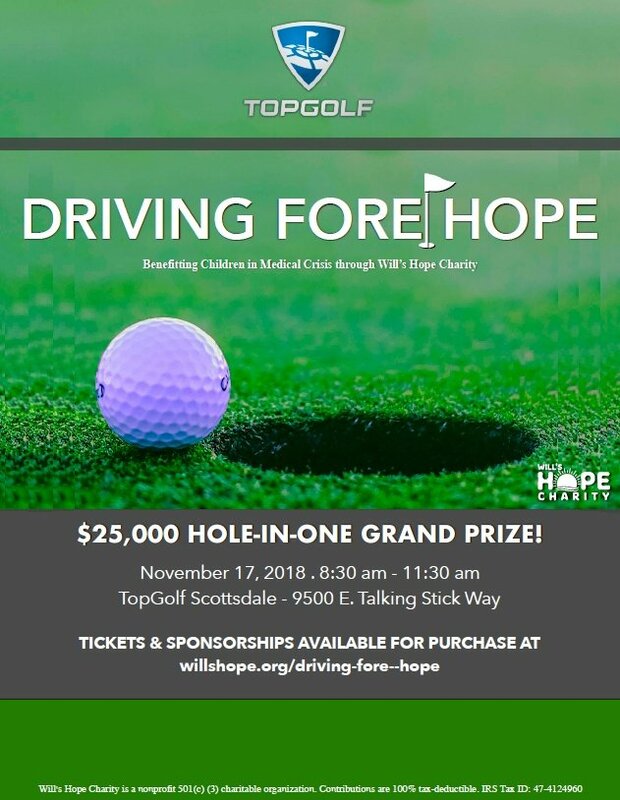 Learn more about the charity news and events involving Will’s Hope in Mesa, AZ. Feel free to read through this page to get the latest updates about our cause. Information about our beneficiaries and fundraising activities can also be found on this page. If you have questions or require clarifications, please call our office! 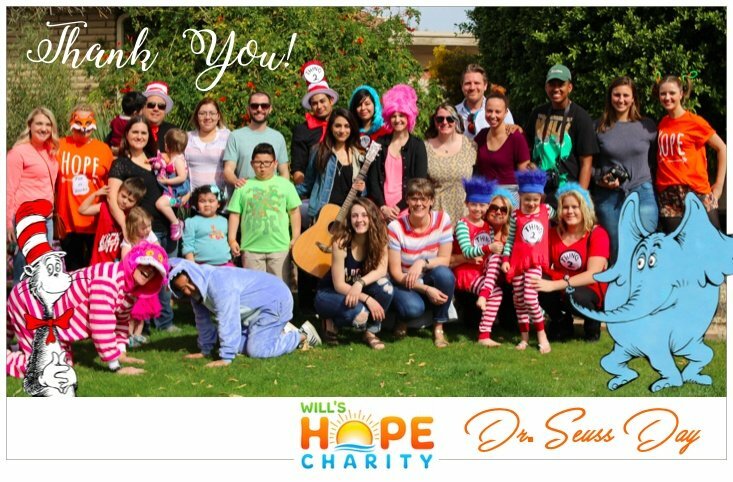 Will's Hope Charity is celebrating Dr. Seuss Day by reading his legendary books to medically fragile children. The idea is to have fun, dress up like Dr. Seuss characters, sing songs and read amazing and entertaining stories written by Dr. Seuss. Let's set out to lift the spirits of these precious little ones. We'll show up, sing, play and read for about an hour before we say our goodbyes until next year! Our Executive Director, Greg Suender, is putting the volunteer teams together now. Simply reply to this post, as soon as you can... 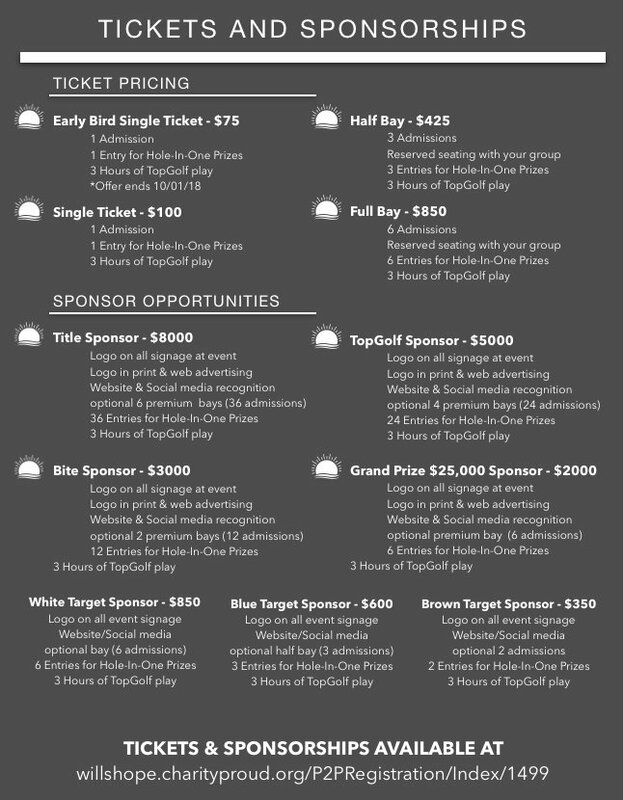 There are 24 spots available for readers but they will go fast. There is no cost to volunteer. 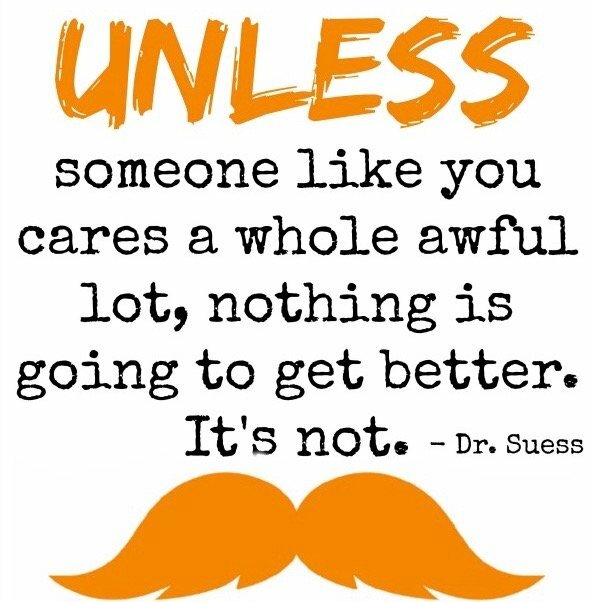 However, We'd love it if you would bring your own Dr. Seuss book and donate it when we're done. You will be required to fill out and pass a background check, agree to our privacy rules and have a good bill of health in order to volunteer. Oh and, of course, we'd love to see YOU there dressed as your favorite Dr. Seuss Character! We truly love him in a house.We truly love him with a mouse. We truly love him here or there. We truly love him anywhere. We truly love the silly goose. We truly love old Dr. Seuss! Unable to make to our Dr. Seuss reading event this Saturday, March 4th? We’re so sad you can’t join us, but we can still use your help! Send a smile to a medically fragile child by donating your favorite children’s book through Amazon Smile! By using the link below, and sending your donation to 4750 S Jalapa Ln / Gold Canyon, AZ 85118, you can share the kind spirit of Dr. Seuss with a medically fragile child. We thank you for your help and on going support! You can make a HUGE difference in the lives of medically fragile children... Help us help those caught in a medical crisis! Thanks to our donors and people like you, Will's Hope has been able to serve more medically fragile children and their families. Your support and belief in our cause keeps us going strong. We're launching our 2017 #AZGivesDay campaign to Provide emotional and practical support for medically fragile children and their families, and it would be great if you were a part of it. We are asking a few of our key partners to rally their friends, family, and networks to support Will's Hopes' work. By becoming a fundraiser for Will's Hope, you will provide hope and healing during a traumatic time for families with critically ill children, and you'll help your friends feel good about doing good. Getting started is easy to do, and it's fun. We'll even give you all the tools you'll need to make a difference. With your help, I know we can reach our campaign goal between now and April 4, 2017, we can ensure because of you the support for families during their child's medical crisis that encourages healing and restores hope; we'll help them to stay close, stay strong and stay hopeful. When you create a personal fundraiser page today for Will's Hope, you'll help us empower families that will then encourage the healing of their precious child. 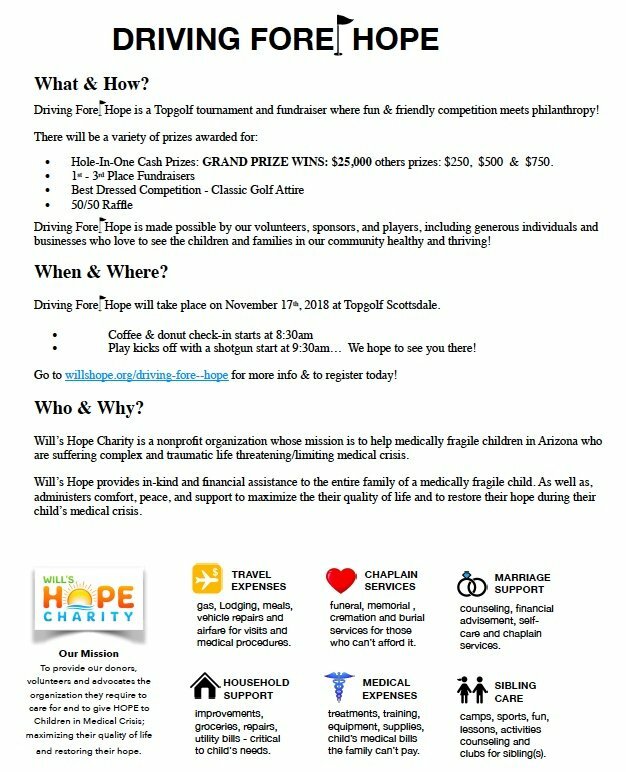 Will you help provide support for our families in need? Thanks for caring... There's too much stress and not enough hope for families in the valley as parents are being sent home with their critically ill children... Many that are technology dependent and need to be monitored 24/7. 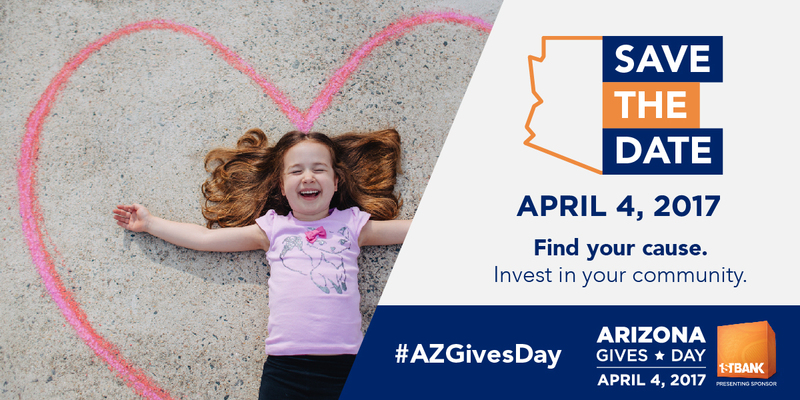 Thank you for giving back and making a difference this #AZGivesDay!Click to add an engaging title. High quality images go a long way in looking professional online.